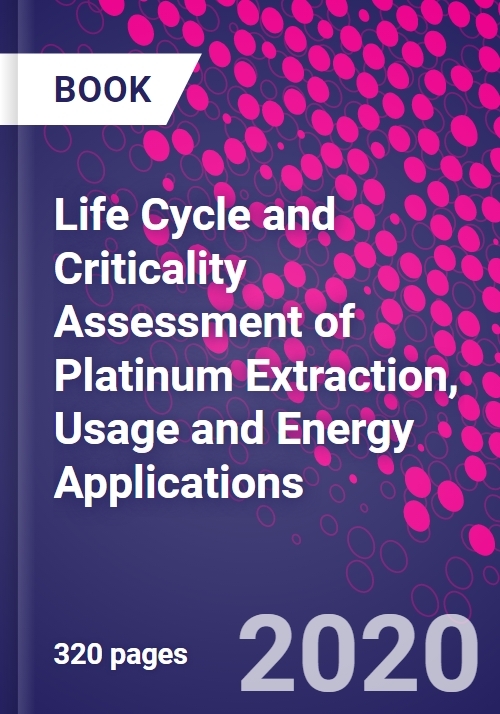 Life Cycle and Criticality Assessment of Platinum Extraction, Usage and Energy Applications discusses past, present and future research works on platinum and its applications to fuel cells. It examines the global trends of platinum mining, processing and its applications, with case studies from the Southern African region. The book offers a brief discussion on different types of fuel cells and a detailed description of platinum-based fuel cell technology. The environmental and socioeconomic impacts of the production chain of fuel cell technology are evaluated using lifecycle assessment, along with a critical assessment of platinum group metals that focuses on all aspects of its sustainability. Anup Pradhan is Senior Lecturer at the University of Johannesburg (UJ), South Africa. He is NRF (National Research Foundation, South Africa) rated researcher and is registered Engineer with the Nepal Engineering Council. He has held posts at Alternative Energy Promotion Centre (Nepal) and Institute of Engineering (Nepal). He has been working in the field of renewable energy for last ten years and has published several journal and conference papers, including few book chapters. He is the recipient of numerous awards and honors, including the prestigious Class 'A' Gold Medal from the President of Nepal. Junior is an academic, environmentalist, and industrial engineer and physicist passionate about energy generation using Eco-friendly renewable energy systems. He is involved into energy related precious metals such as platinum group metals for clean energy generation aiming to power the global automotive sector in the coming years and to supply on-site household and industry clean energy through the hydrogen fuel cell technology systems operating with very low to zero carbon dioxide equivalent emissions. Lately, Junior is invested into research on fossil fuels, coal and gas, for clean energy production and greenhouse gas emissions management, flow modelling, production streamlined may result effectiveness and efficiency while productivity enhanced under environmentally sound and controlled processes envisioning sustainability management. Professor Charles Mbohwa is a Professor in the Faculty of Engineering and the Built Environment. He is currently Acting Executive Dean, Faculty of Engineering and the Built Environment at the University of Johannesburg and is an established researcher and professor in the field of sustainability engineering and energy. Upon graduating with his BSc Honours in Mechanical Engineering from the University of Zimbabwe in 1986, he was employed as a mechanical engineer by the National Railways of Zimbabwe. He holds a Masters in Operations Management and Manufacturing Systems from University of Nottingham and completed his doctoral studies at Tokyo Metropolitan Institute of Technology in Japan. He was a Fulbright Scholar visiting the Supply Chain and Logistics Institute at the School of Industrial and Systems Engineering, Georgia Institute of Technology, a Japan Foundation Fellow, is a Fellow of the Zimbabwean Institution of Engineers and is a registered mechanical engineer with the Engineering Council of Zimbabwe. He has also visited many countries on research and training engagements including the United Kingdom, Japan, German, France, the USA, Brazil, Sweden, Ghana, Nigeria, Kenya, Tanzania, Malawi, Mauritius, Austria, the Netherlands, Uganda, Namibia and Australia. He has had several awards including British Council Scholarship, Japanese Foundation Fellowship, Kubota Foundation Fellowship; Fulbright Fellowship.